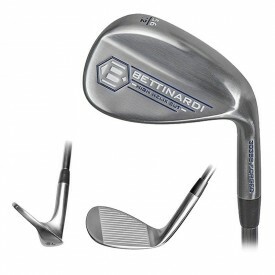 Bettinardi started in 1992 and were the first company to produce golf putters out of a single block of steel. This state of the art process uses computer numerical control (CNC) machine from start to finish and changed the way fine quality putters were made. In 1999 Bettinardi Golf Brand was born and introduced six models to the range with great success and by 2002 had 17 tour professional wins. Still innovating Bettinardi introduced a 360 degree milling process with Honeycomb groves. During 2003 and 2005 the company aligned with Ben Hogan Company to produce a series of Ben Hogan by Bettinardi putters and one of the range called Baby Ben secured their first Major win 2003. The following year a Fiji tour player won four tournaments in a row including the PGA Championship, another Major win for the company. In 2006 to 2009 Bettinardi joined forces and partnered with Mizuno to produce a new series of putters with a Feel Impact Technology to produce a softer feeling putter head. 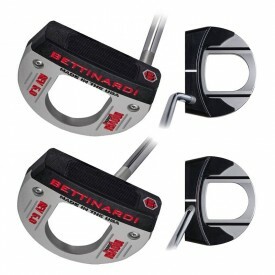 Bettinardi are always innovating with counter balance putters and now introduced themselves into the Golf Wedge market. Bettinardi statement is they aim to produce the highest quality putters, with a goal of zero defects being the company policy.